Maverick was certainly the talk of the Simmental Sale isle in Denver this year! 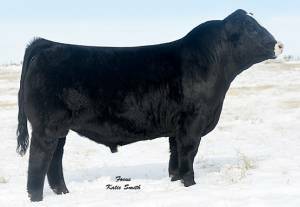 To have a bull with this much overall mass yet still perfect hipped and fluid in his movement is like winning the herd bull jackpot. 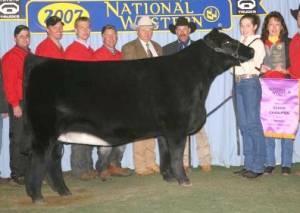 Purple is already stacked in this pedigree with Sandeens Jasmine as his great grandmother and his mother, AJE Jewels Halo, is a full sister to the 2010 NWSS Champion Pen of Three Purebreds. 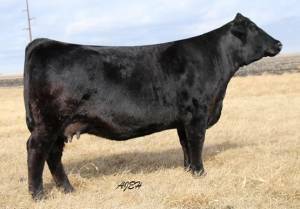 New Direction is certainly leaving a positive mark on the Simmental breed...here's the opportunity to use the HOMO BLACK, baldy son!